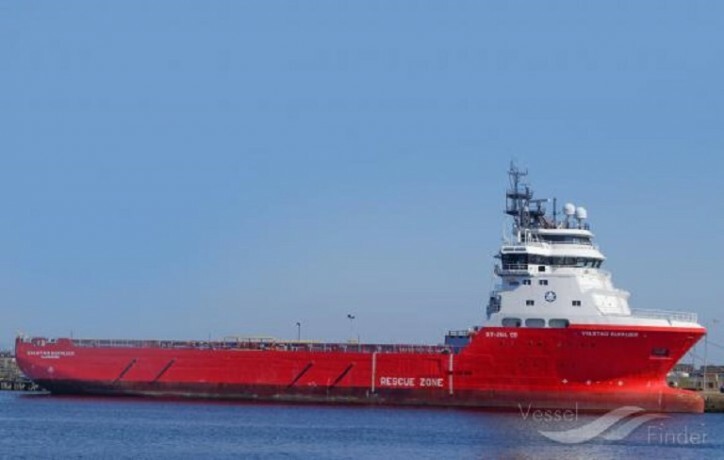 Standard Drilling (SDSD) has secured new term contracts for Standard Princess, Standard Supplier and Standard Provider, all large platform supply vessels (PSV's), 100% owned by SDSD. The term contracts secure solid utilization going forward, with well known and reputable counterparties, all at increased day-rates in line with our 2019 forecast. The total firm period of the contracts corresponds to ~460-470 days. In addition, these term contracts have a combined option period of ~265days. The utilization for the five large PSVs was 100% in February and 93 % year to date 2019 including January and February. Standard Princess (2008): Firm 185-day contract with a well known and reputable counterparty in direct continuation of the current contract when the vessel completes the existing contract 1 April 2019. Total option period ~14 weeks with a mix of monthly, weekly and daily options. Standard Supplier (2007): Firm 185-day contract with a well known and reputable counterparty with recommencement of previous contract starting end of March or beginning of April. Total option period ~14 weeks with a mix of monthly, weekly and daily options. Standard Provider (2010): Firm 1 well contract (90-100 days) with Ithaca with commencement between 4 April and 4 May. 1 well option, estimated at 70 days at increased rate. Standard Viking (2008): currently working on a 1-year firm contract with Peterson to mid-July 2019, including a 1-year option at increased rate. Standard Supporter (2009): currently working on a 1 well (~100 days) firm contract with Repsol from 21 January 2019. The commercial terms of the contracts remain private and confidential but will in total give a positive EBITDA after management costs. "The abovementioned contracts and the rates to be paid confirm our optimism for the spring and summer season in the North Sea", says Martin Nes, Chairman of the Board of S.D Standard Drilling Plc. FS Carrick is completing a term contract with Fraser Well management. FS Abergeldie, FS Braemar, and FS Balmoral continue to enjoy a rising 'spot market'. FS Crathes is 'in-house' for maintenance and FS Bergen remains in warm lay-up, and actively being marketed. The utilization for the medium size PSVs (including FS Arendal) in February 2019 was 82% and 77 % year to date 2019 including January and February. New World Supply Ltd (NWS), where SDSD has ownership of 34.4%, has a fleet of 4 modern mid-size PSVs, after sale of two vessels in October 2018, all built in 2013. All of the NWS vessels are in lay up. SDSD consider its holding in NWS as a financial investment.